Posted by Eddie & filed under Mountains & hills, Travel, May 30 2012. A month ago Lesley and I travelled to England and Wales for a week’s holiday. During the trip we went on two great walks in upland areas. 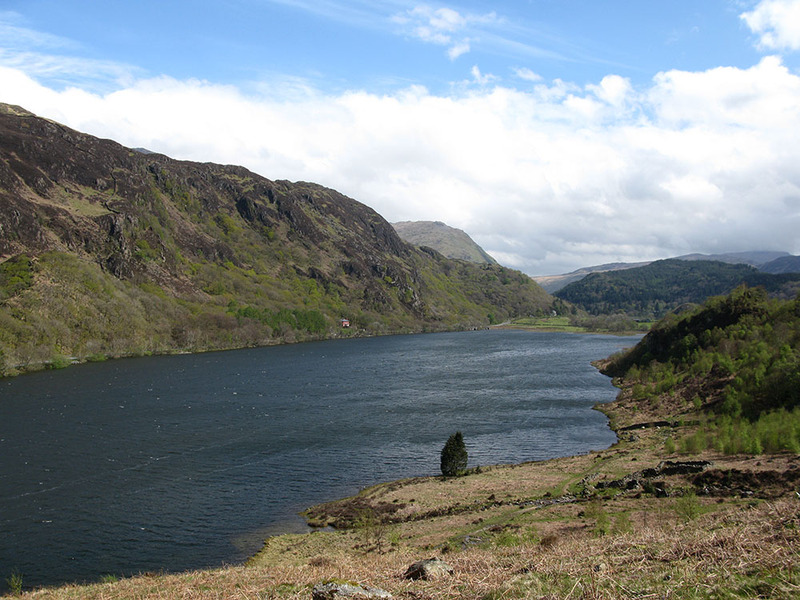 The first was in Snowdonia National Park. We started at the village of Beddgelert where we were staying in a B&B and walked east out of the village past the Sygun Copper Mine towards Llyn Dinas. This lake is not far from Nantgwynant where I started the ascent of Snowdon with Martin and Kate in April 2010 (see my previous blog posting ‘Snowdonia‘). Then we climbed up to the pass of Cwm Bychan where there was a view of the summit of Snowdon and some old mine workings. A descent then took us to the village of Nantmor and the recently reopened Welsh Highland Railway. 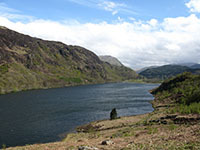 The next part of the route was through the spectacular gorge of the Pass of Aberglaslyn, along a narrow and bouldery path right next to the river requiring some care. The final part of the walk into Beddgelert took us past the grave of Gelert, a dog that features in a local legend and that gave its name to the village. This walk was about 10km in length and took us about three hours. We were lucky with the weather as the previous day had been very wet and cold, leaving some fresh snow on the higher summits. It’s a great route that gives you a taste of the mountain environment in Snowdonia and some good scenery with plenty of things to see, without being too taxing. The second walk we did was a slightly longer hike (about 12km taking us about 4 hours) around the area of Malham in the Yorkshire Dales. We walked past Janet’s Foss and the spectacular Gordale Scar before heading up a road onto the high limestone pavement that is such a notable feature of the area. 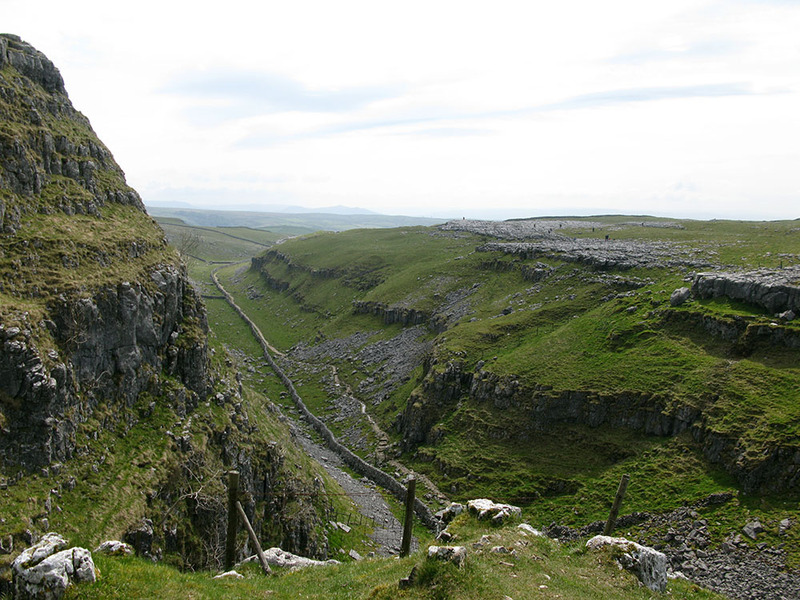 We walked across the flat plateau, past Malham Tarn and through the remarkable Comb Scar and Watlowes (where we saw a Peregrine Falcon and a couple of Partridges), rocky ravines that were carved out by glacial meltwaters at the end of the last ice age. 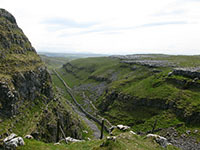 The most spectacular part of the walk was saved for last, a walk over the limestone pavement at the top of Malham Cove and a descent down its western side to give impressive views of the gorge and its vertical rock face. You can see all the photos from our trip on my website here.